August 2017...this is my redemption song. Nail art brings me so much happiness, and that's all we need in life right? So get happy, because this past weekend, I did SEVEN new nail art designs that I can't wait to share. First up...Charming, darling. 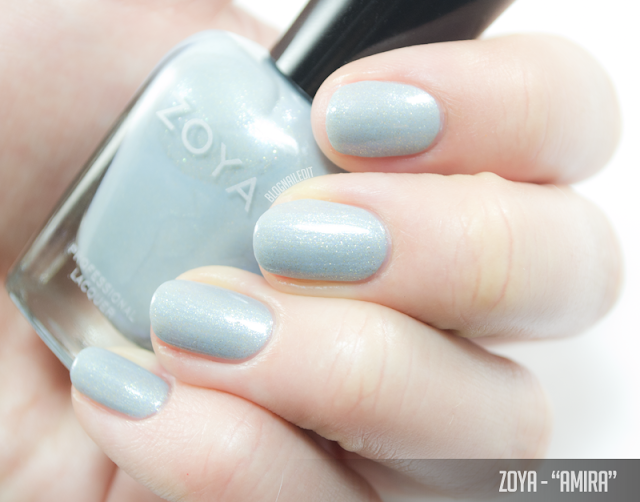 The Zoya Charming collection is not new, but all the colors are still available individually on Zoya.com here. It's such a polite collection...sweet shades that are very, well, charming. 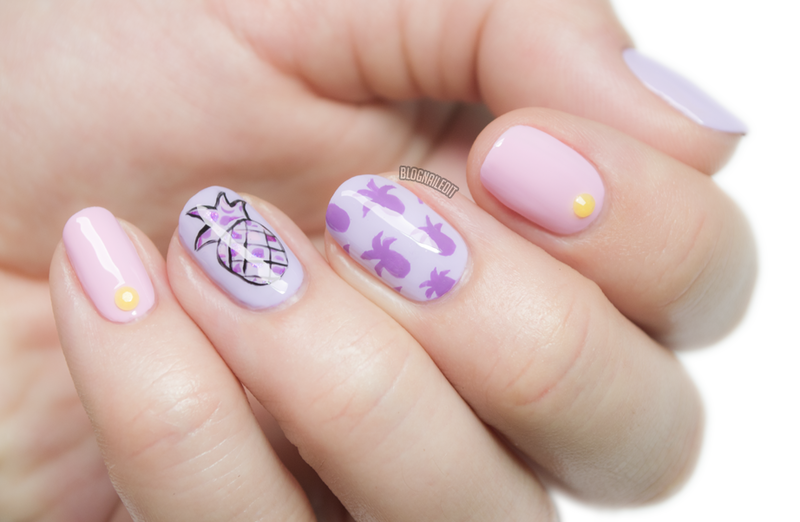 So I put this adorable collection onto my nails with charming little pineapples! I thought I had filmed the process for the negative space pineapple, but apparently, I only recorded me turning off the recording. Obnoxious! So I'll just explain the process. First, I laid down a base of Jordan. Then, using Abby, Millie and Tina, I did some random dotting. Then, using Abby, I drew the shape of the pineapple, and filled in around the outside of the shape. The pineapple got lost in the design though, so I added black to punch it up. Punch...it...up. Ready for the sweetness? How about some swatches. Abby (2 coats) is the sweetest, lightest, creamiest lavender. It's got a little blue too! Amira (2 coats) is a dusty, blue shimmer. It's a light denim with shimmer. Almost like vintage teacups. Jordan (2 coats) is a non-chalky cool pink creme. Dainty and beautiful. 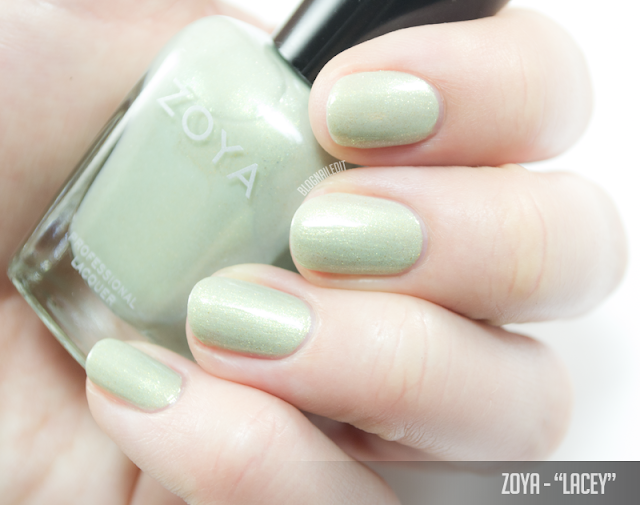 Lacey (2 coats) is a light, sweet mossy sage green shimmer. The shimmer is a little gold, but it's a beautiful subtle sheen. Millie (2 coats) is a bit of an oddball for this collection, because it's more of a bright magenta shimmer, standing out among the soft pastels in the collection. It speaks volumes! Tina (2 coats) is the last color, and it's a lilac creme shade to die for. See? Wasn't that so sweet?! Get your pastel on with Charming.